Half of Digital Book World is delivered to the entire audience from the Main Stage. The speakers for 2015 comprise the most illustrious group we have ever had. The headine is definitely that we have managed to corral both Amazon and Apple speakers for our main stage — a feat we don’t believe any other conference in the book business has ever managed to pull off — but I’d be proud of this program even if neither of them were on it! Beyond the retailers, we have three bestselling authors, three leading publishing executives (four if you count that F+W CEO David Nussbaum will deliver a welcoming speech), three data-driven experts, and two leaders from adjacent industries. The program will kick off with a presentation from best-selling author Walter Isaacson, whose current book is “The Innovators”. Isaacson wrote definitive bios of both Benjamin Franklin and Steve Jobs in recent years, both of whom had their own role to play in the book business. His current book really is about the digital revolution in general, the context in which publishing’s change, DBW’s topic, occurs. Context-setting is always a good way to start, and Isaacson definitely fills the bill. We discovered ed-tech investor Matthew Greenfield during the course of planning DBW 2015 and we think our audience will agree he was a great “find”. Greenfield’s Rethink Education business invests in start-ups, which for ed-tech he divides into three groups of companies: those that deliver ebook readers and content for school use; those focused on short form reading, like news; and those that are writing-related, which are likely to include leveled collections of reading to help developing writers. 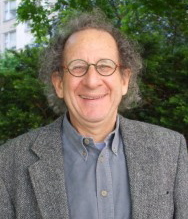 Since the ed-tech field is largely about creating new platforms within which the content is consumed in schools and colleges (as well as adding value with context and evaluations), he will explicitly include advice for trade publishers who sell their content for educational use and will increasingly find it necessary to sell through these platforms. Greenfield also has some interesting speculation to offer about where educational technology is going and what we can expect to see from publishing’s biggest disruptor, Amazon. You can’t be trying to figure out the future of publishing without being aware of the new phenomenon of “content marketing”. So I reached out to the Founder of the Content Marketing Institute, Joe Pulizzi, about imparting some wisdom to book publishers. I started out thinking the content marketing business might make use of some of our content, but he straightened me out pretty fast: that’s not the most likely synergy between what he knows and what we need. In fact, Pulizzi is an expert on how to use content to drive consumer engagement and he does it for organizations and brands that have to pay to create that content. Of course, we in the book business already have lots of content and ready access to more within our existing staffing and networks. In this presentation, Pulizzi will be talking about how we can use content to build consumer engagement and loyal customers to whom we can market repeatedly (vertical thinking). Everything Pulizzi says is likely to suggest questions to publishers, so we’ve also given him a breakout session to allow those who want to hear more and interact more to do so. The first of our publishing CEOs to take the stage will be Linda Zecher from Houghton Mifflin Harcourt. Zecher runs a company that is very big in education publishing but has a top 10 general trade list as well, so she is really the only CEO managing across those two publishing segments. She’s also the rare publishing executive with a tech background (hers was at Microsoft). This interview with Michael Cader will focus on the lessons learned from the education side which could be harbingers of adjustments trade publishers will also have to make. Next up will be James Robinson, Director, News Analytics, for The New York Times. Robinson is, effectively, the Times’s techie in the newsroom. He takes the view that writers and editors need to understand who their readers are, and, of course, they are not the same for every story. He also wants to make sure that as many people as possible see each relevant story, whether they would have expected it from The Times or not. If I do say so myself, Robinson has a sterling background. He spent several years working with me at The Idea Logical Company before he went on to get a Masters at NYU studying under thought leader Clay Shirky. The way he thinks about content and audiences for The Times contains lessons for non-fiction book publishers and perhaps for fiction publishers as well. The first morning of Main Stage presentations will conclude with Cader and me interviewing Russ Grandinetti, SVP, Kindle, at Amazon. Grandinetti is a straightforward and outspoken executive who has been with Amazon since just about the very beginning and who has shepherded Kindle throughout its existence. With Amazon now generally acknowledged as the most powerful and disruptive force in the book business, we will all be interested to hear what he thinks is the future for printed books versus digital, bookstores versus online purchasing, and how much Amazon’s own publishing and subscription programs are likely to grow. The second morning will begin with Michael Cader interviewing Internet and marketing guru Seth Godin on the subject of “what’s next?” Godin, who saw — and wrote about — the importance of building personal brands and mailing lists at the dawn of the Web era, is a successful book author who has been watching how publishers operate and market for several decades. In this conversation, he will deliver intuitive and logical advice that many can follow. Anybody who listened to Godin talk about “permission marketing” 20 years ago and followed his advice now has a massive emailing list that is a major marketing asset. Just about every publisher will likely come away from this session with some new ideas to apply. Next up, for an interview with me, will be CEO Brian Murray of HarperCollins. Under Murray’s leadership, HarperCollins has established itself as the number two English-language trade publisher in the world. Two recent acquisitions, Christian publisher Thomas Nelson and romance publisher Harlequin, have given them strong foundations to develop large vertical communities. In addition, Harlequin had a global infrastructure in place that HarperCollins is using as a springboard to build out their own global — and beyond just English — presence. Murray will discuss how these acquisitions position HarperCollins strategically to compete with the substantially larger Penguin Random House and to build their ability to reach readers beyond those they get to through Amazon, Barnes & Noble, and an ever-smaller number of ever-larger retail trading partners. 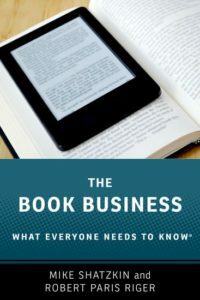 Over the past several years, ebooks have taken market share from print that is probably in the range of 25 percent across the board. But that’s not distributed evenly by genre or subject or type of book. Jonathan Nowell, the CEO of Nielsen Book, is going to help us understand how the mix of what sells in print has changed as a result of this. Understanding what the evolving print marketplace really looks like willboth publishers and retailers plan for the ever-changing future, in which we will probably see less print overall, but not for everything. Ken Auletta of The New Yorker has been covering both content and technology businesses for many decades. Nobody understands how the companies in both those industries work — including their cultures — better than he does. Among his five bestsellers is “Googled: The End of the World as We Know It”. Auletta will talk about “Publishing in World of Engineers” and how the smaller content companies cope with their new partners that come from the world of technology. The culture clash between long-established content providers and techies who place high value on “disruption” is a theme we all deal with and about which Auletta can shed real light. Hilary Mason is a data expert who has honed her talent for analytics during a stint at Bit.ly. Mason has spent years learning about individuals through their online behavior. In this talk, she is going to tell publishers what she’s learned about how to gain insight into individuals and audiences and how to use those insights to garner interest and affect behavior. Like Pulizzi, we anticipate that Mason will raise a lot of points some of our attendees will want to pursue further around their particular interests. So we have also given her a break-out session in the afternoon, where the most interested can explore further how to use data and analytics effectively. Judith Curr is President and Publisher of Simon & Schuster’s Atria imprint. She has always had an admiration for entrepreneurship and indie authors have looked attractive to her as a publisher for a long time. (She points out that Vince Flynn started out as a self-published author.) So Curr did some brainstorming and tried to figure out how to make her imprint a place that an indie author would want to be. In this talk, other publishers who see the importance of appealing to authors who want to market themselves, manage their careers, and publish faster (or shorter) than the conventional process, can learn from her thinking, insight, and experience. Our main stage activity will conclude with an interview by Michael Cader with Keith Moerer, who runs Apple’s iBooks Store. iBooks Store has established itself as the second leading global seller of ebooks and has ambitious plans for continued growth. We’ve never had the good fortune to have them on the DBW program before. We are thrilled to be able to close our main stage day with Amazon and our second with Apple, giving publishers a chance to hear from the two biggest retailers in the world for their ebooks. Not covered in this post or my prior post about the DBW breakout sessions is the sterling Launch Kids program organized by our friend and frequent collaborator, Lorraine Shanley of Market Partners International. The world of juvie and YA publishing will probably change the most of all publishing segments and there are legions of players outside what we think of the book business working on it. Lorraine has corralled a number of them — familiar names like Google, Alloy, Wattpad, and NewsCorp’s Amplify and innovators such as Kickstarter, Speakaboos, Paper Lantern Lit, I See Me, and Sourcebooks’s new smash success, Put Me In The Story. If publishing for young people is on your radar, you’ll want to plan for three days with us and start with Launch Kids the day before DBW 2015 begins. Through the comments section of this blog, I got to know Rick Chapman, who is the self-published author of books on software (and, now, also some fiction.) Chapman’s comments on the blog were so insightful that I recruited him to speak on a panel at DBW (covered in the last post). Yesterday, Rick published this piece challenging the conventional wisdom that Amazon is the indie author’s best friend. He has even started a survey of indie authors to gather data for his DBW appearance. Whatever position one takes on Amazon, Chapman’s post is thought-provoking and entertaining. If you read this, you’re likely to want to see him when he speaks on a panel at DBW.